exhibition design and signage for the exhibition studio zzm. 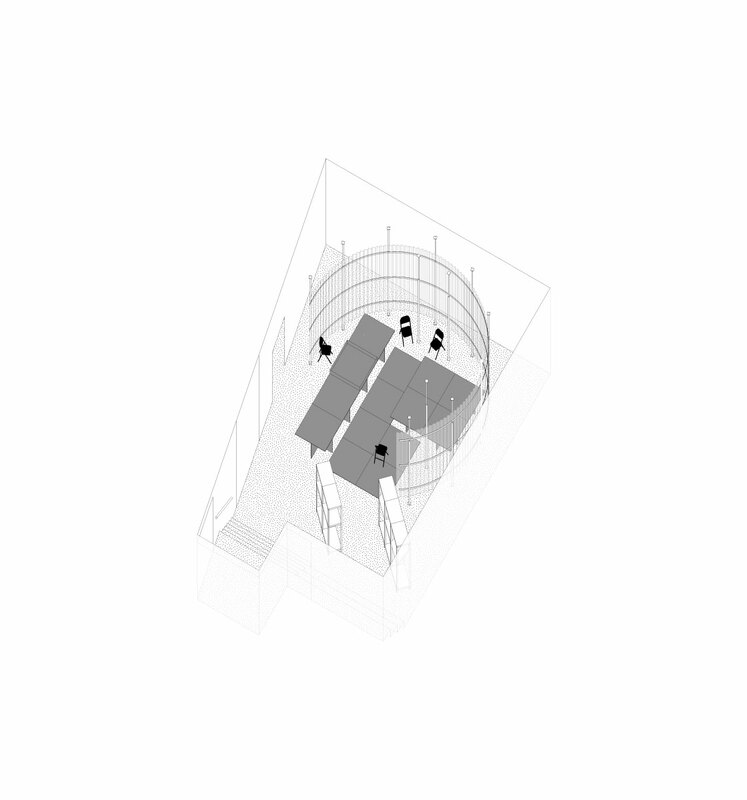 1 – axonometric of room 2. a kit of parts defines the scenography: curtain, platform, shelf. 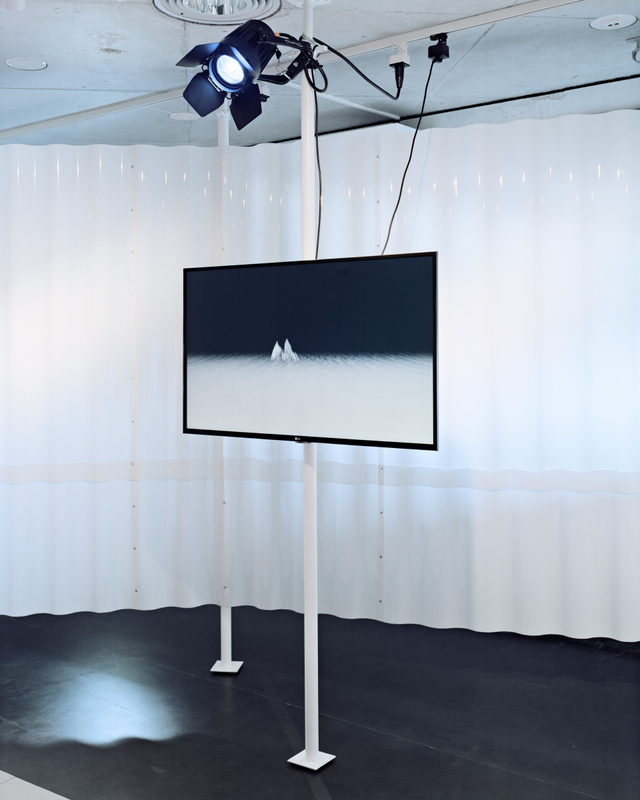 for the exhibition studio zzm, curated by jan boelen (z33) and evelien bracke, common room organized the work by six different artists as an archipelago of islands defined against the context of the zuiderzee museum. 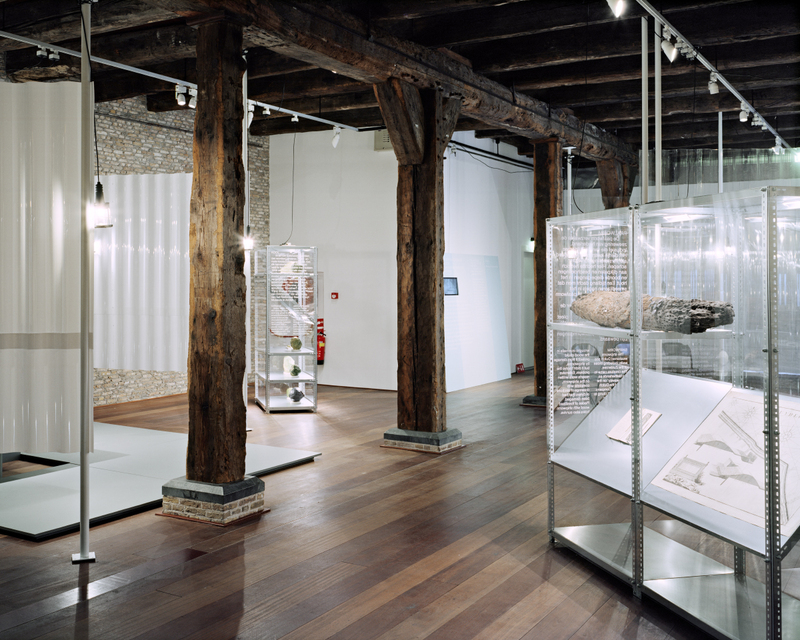 the archipelago concept is legible on the scale of the museum as well as on the scale of the individual areas themselves. 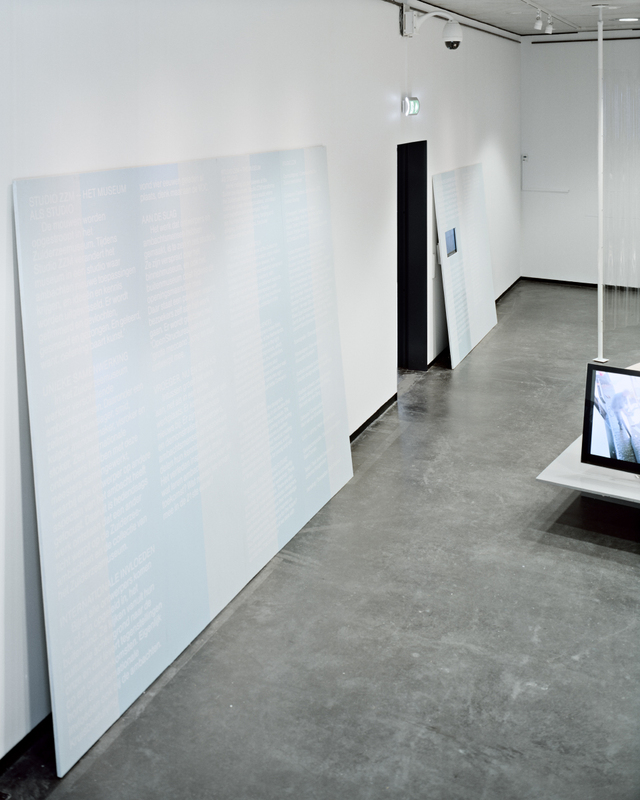 it sets up a dialogue with the context while allowing a focused view of the exhibit content. 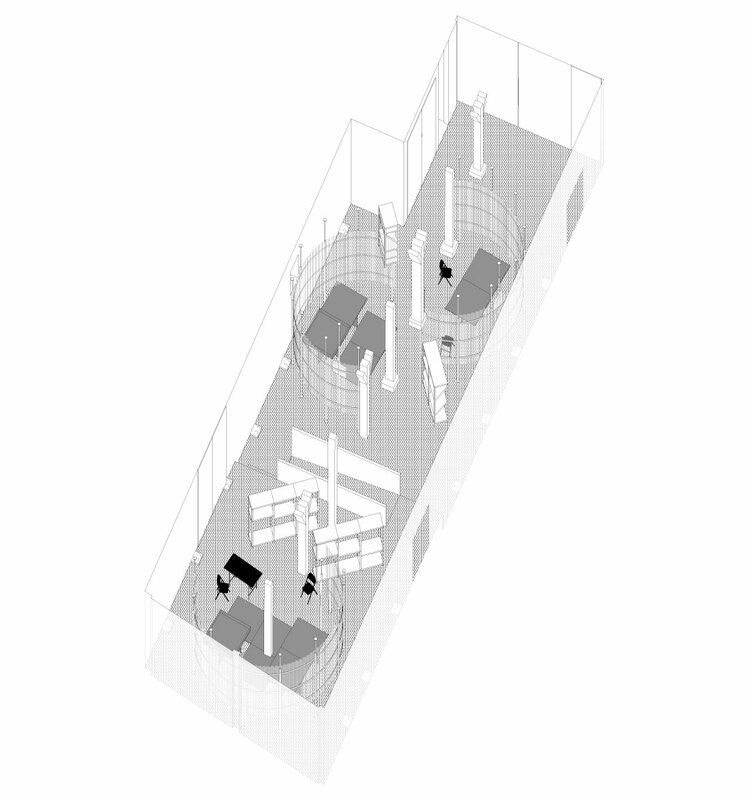 in each of the six exhibition areas, a circular curtain is used to define a studio space for each artist. an area for display and activity is provided by low accessible platforms. 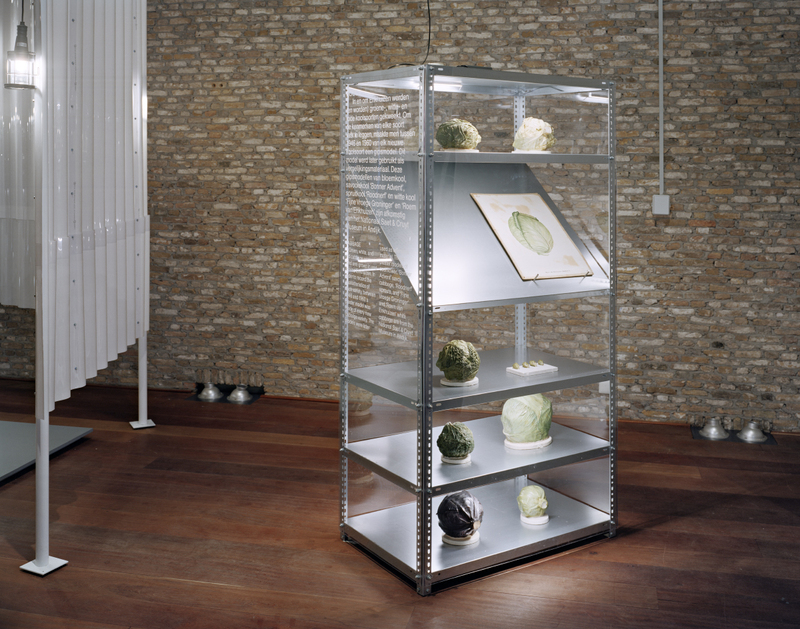 pedestals and table height platforms exhibit the artists work while shelves display reference material from the zuiderzee museum archive. 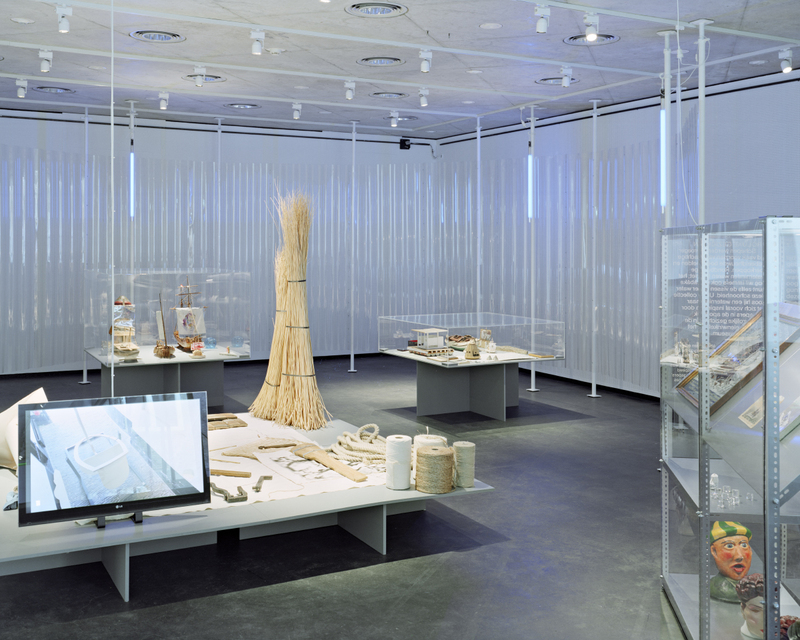 the materiality of the exhibition scenography continues the language of the zzm pavilion. standard building materials applied in a less standard manner act in dialogue with the existing context. 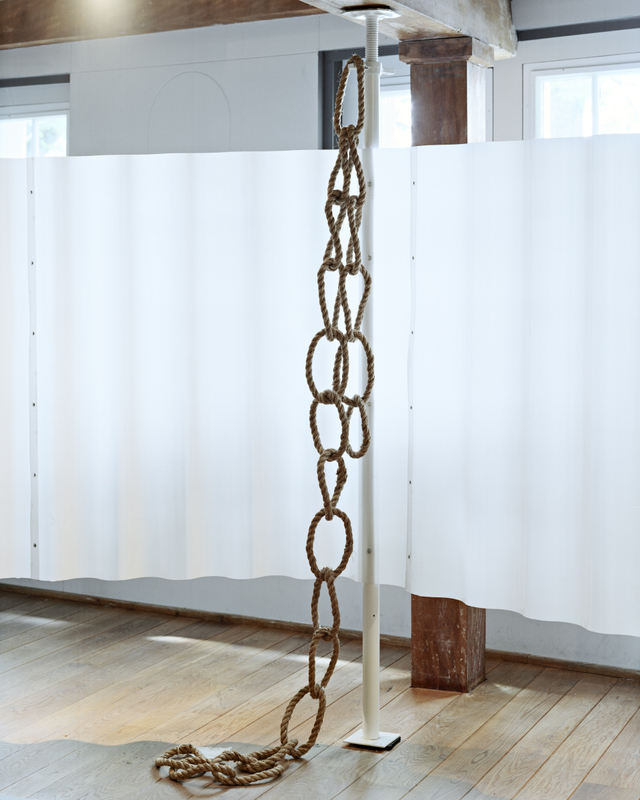 the curtains are made of corrugated plastic supported by telescopic props. the platforms and pedestals are painted wood panels. 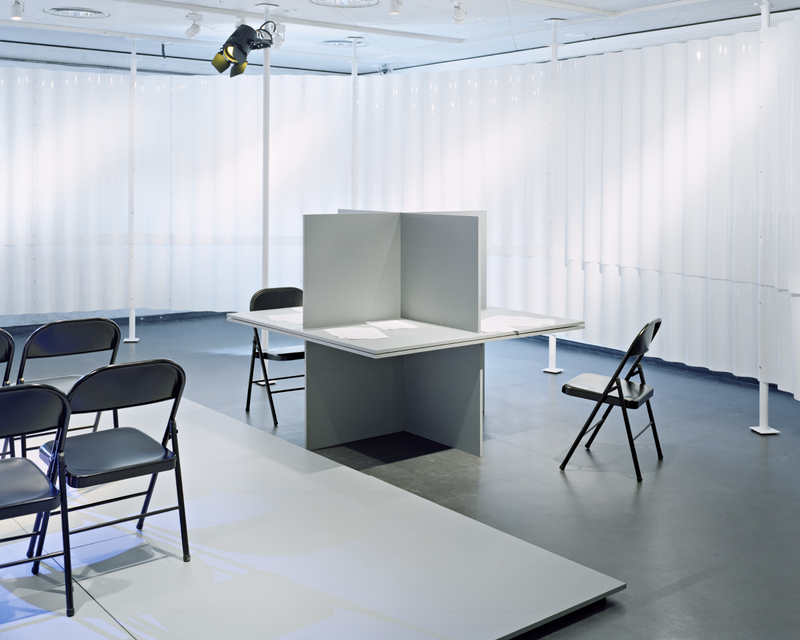 chairs and tables are added to facilitate the activities occurring in the spaces. 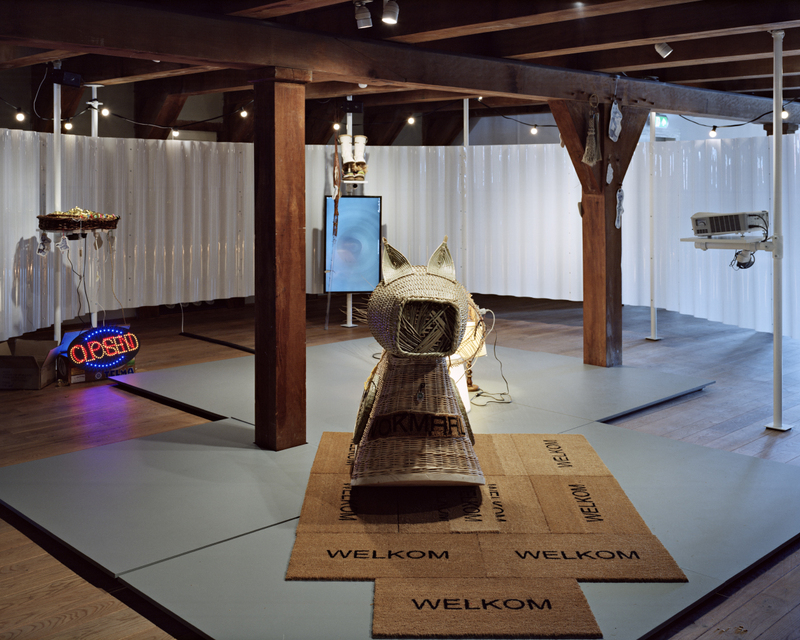 the exhibition graphics focus on industrial craft and process through a playful manipulation of the everyday material of exhibition design and signage. the graphics system manipulates the cut vinyl installation process and uses the 3 stages of cut vinyl installation as a means of hierarchy of typographic information.